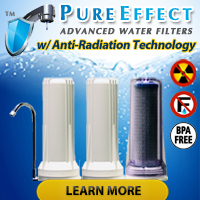 According to a recent article posted on the Washington Post web site entitled Handy Guide: Home Water Filtration, an estimated 40 percent of Americans have some sort of water filtration system in their homes. The article also mentioned that Americans who use water filters in their homes do so for three main reasons: 1) Taste of their drinking water; 2) Unpleasant or strong odors in their drinking water; and/or 3) Concerns about the health effects of drinking contaminated drinking water. More often than not the main complaints we hear from people regarding the quality of their drinking water have something to do with the way their water tastes and/or smells…. with a large number of the complaints involving the unwanted taste or smell coming from their water’s chlorine content. Other common odors in drinking water may come from dissolved organic matter (tannins), higher then normal levels of dissolved metals and dissolved hydrogen sulfide gas (abbreviated as H2S). As a general rule the majority of common taste and odor problems in drinking water get labeled as aesthetic problems, not health concerns. Please note that extremely high concentrations of ANYthing in drinking water, even contaminants typically considered aesthetic nuisances, can pose health risks in the right concentrations. As more and more stories about pesticides, heavy metals, arsenic, and volatile organic compounds in drinking water around the country keep appearing in the news, more and more and people take an interest in the quality of their own drinking water by taking the first step: Having their water tested. While having a certified water testing laboratory such as National Testing Laboratories remains the best way to find out exactly what, if any, contaminants you or someone you know needs to have removed from their water, several do-it-yourself home water test kits make it possible for the average homeowner to check basic aspects of their own water quality on a regular basis w/o the need for laboratory services. You will find a number of very handy (and easy-to-use!) 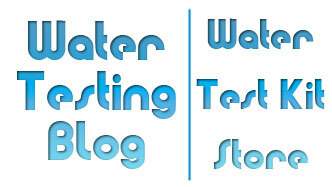 home water quality test kits in the Water Test Kit Store. Remember: It’s your water, your health, and ultimately… your LIFE!